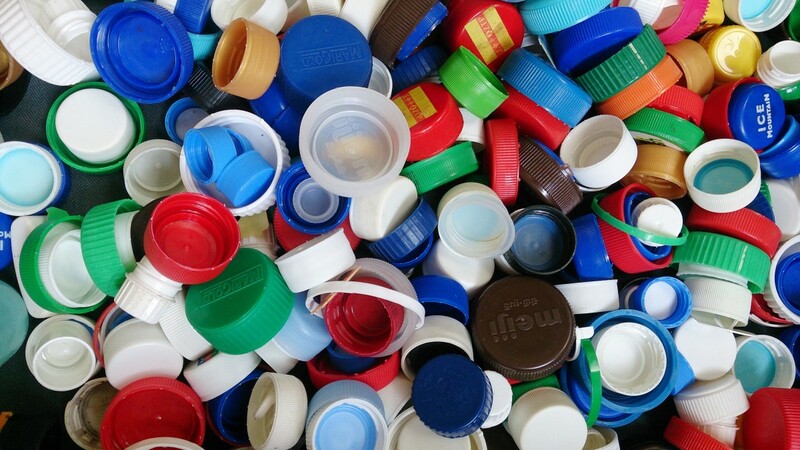 Plastics are very useful and popular materials. They may be dangerous to animals when they are discarded, however, especially when they enter the ocean. Marine animals can become trapped in large pieces of plastic debris. Both large and small pieces of plastic may enter their bodies, injuring or killing them. The material also leaches dangerous chemicals in seawater and perhaps inside an animal's body as well. 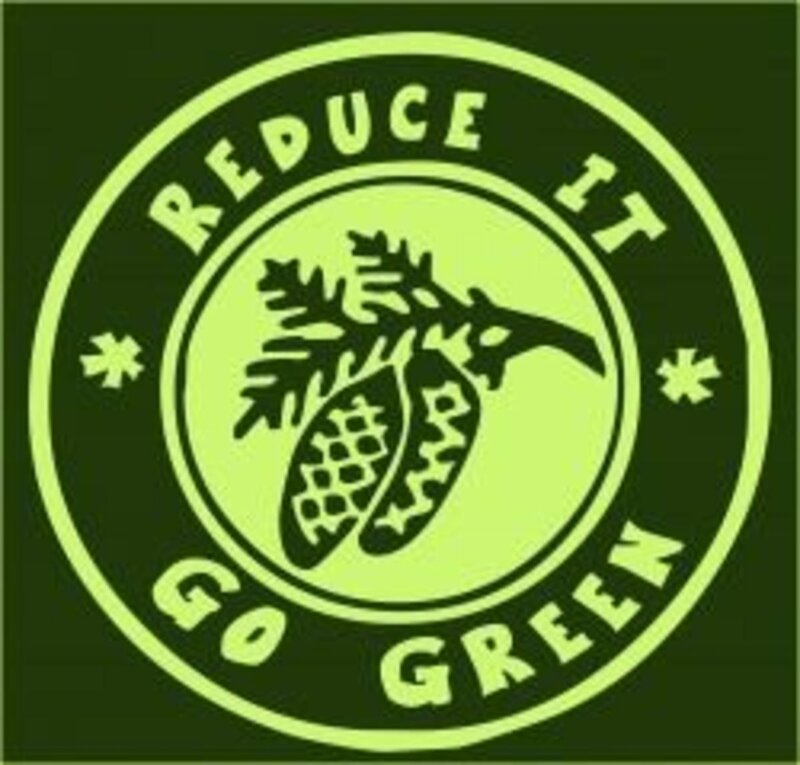 People who refuse to buy plastic or who reuse items made from the material should certainly be encouraged. They may be shocked to learn that they are probably still releasing plastic debris into the environment, however. 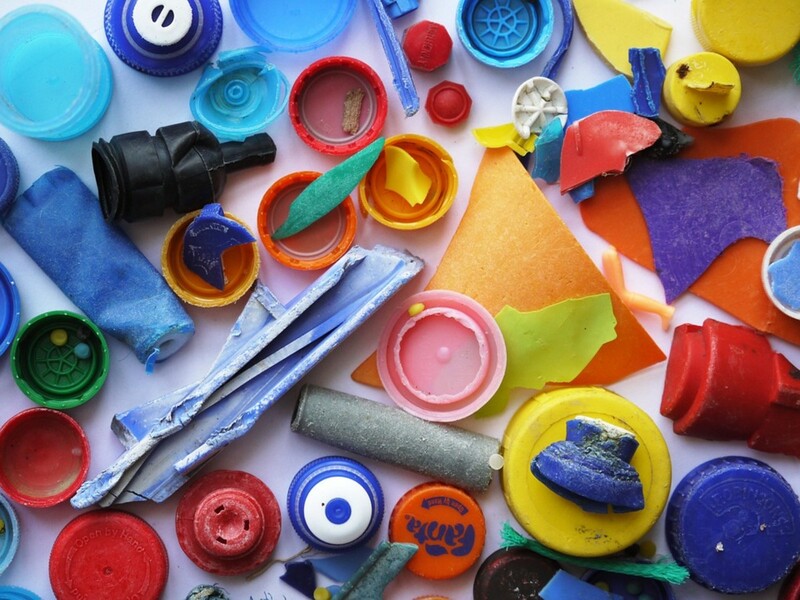 Plastic degrades to produce tiny microplastic particles. This degradation happens in the home as well as in nature. Clothes made of synthetic fibres release microplastic threads when we wash them. Tiny beads made of microplastic are present in some cosmetics and toiletries and are flushed down the drain when we wash our body or brush our teeth. Microplastic pellets are produced for some industrial uses and can also pollute the environment. Researchers are worried that the tiny particles of plastic collecting in the ocean may be harming living things. 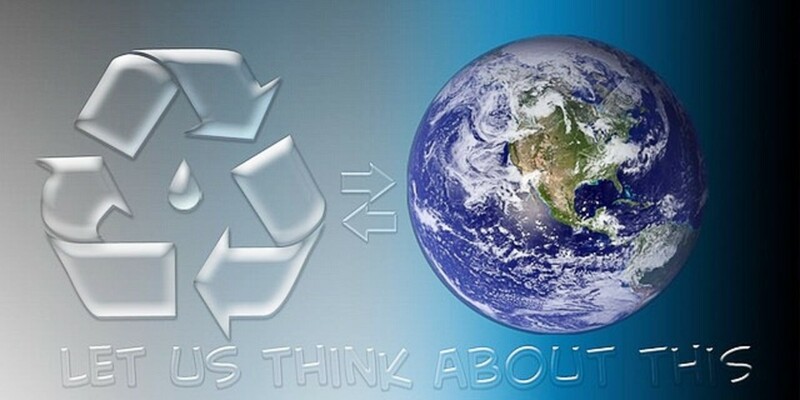 Plastic is a synthetic or semi-synthetic material that is molded and shaped when soft and then solidified. It's made of organic polymers. A polymer is a long molecule made of repeating units. In chemistry, the term “organic” means that the units contain carbon. Plastics can be made from a wide range of chemicals, including polystyrene, polyvinyl chloride (PVC), polyamide (nylon), polyethylene, polyethylene glycol (PEG), polypropylene, and polycarbonate. One form of acrylic is poly(methyl methacrylate), or PMMA. Its name is spelled in various ways. Acrylics and polyesters are families of plastics. Plastics are so ubiquitous in our environment that it's hard for someone to avoid absolutely all sources, even with the best intent. It's important to recycle or repurpose plastic wherever possible and—if appropriate—to lobby companies to use environmentally safer materials. It’s often said that plastics don’t degrade. They do in fact break down, although generally very slowly. (There are some degradable plastics that may break up faster than normal plastics.) The long polymers that make up the structure of a plastic gradually break up into shorter and shorter polymers. These degradation products may still be dangerous to living things, however. Additives used to make the plastic are released as the material breaks down. 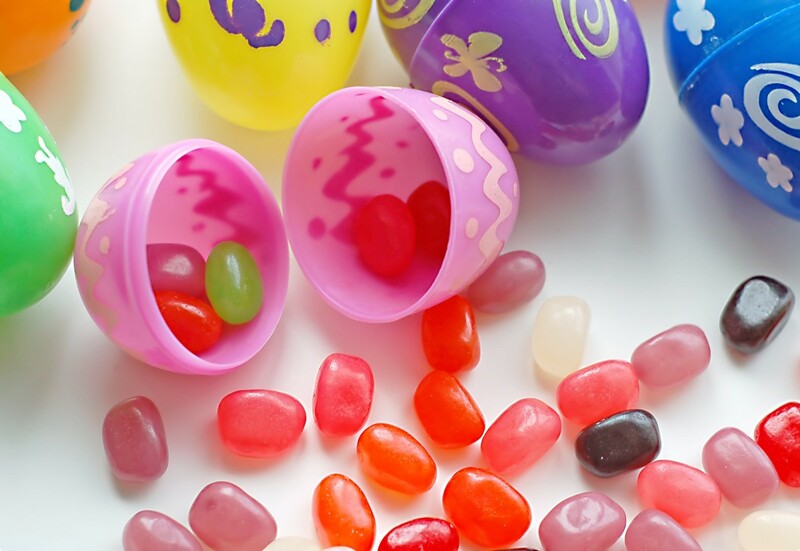 These additives include potentially harmful substances such as bisphenol A (or BPA) and phthalates. BPA is used to make polycarbonate plastics and epoxy resins. Phthalates are added to certain plastics to make them pliable and are also present in some cosmetics. BPA and phthalates can be endocrine (hormone) disruptors, but whether or not low levels of the chemicals harm adult humans is a controversial topic. Many researchers agree that the chemicals are dangerous for a fetus, young children, and some animals, however. A piece of plastic usually contains other chemicals as well, including pigments, flame retardants, and light stabilizers. The stabilizers slow or prevent the degradation of the material when it's struck by the ultraviolet component of sunlight. This is useful when a plastic is being used but is a hindrance to degradation when the material is discarded. How Do Microplastics Differ From Plastics? Plastics are classified according to their size. Microplastics are particles less than 5 mm in size (or less than 1 mm in size in some classification schemes). Nanoplastic particles are even smaller. Like microplastics, their effects on humans and animals need to be explored. A common method of classifying plastics is shown in the table below. There are two general classes of microplastics. Primary microplastics are those that are deliberately created by humans for a specific purpose. Secondary microplastics are produced by the natural breakdown of larger pieces of plastic in the environment. 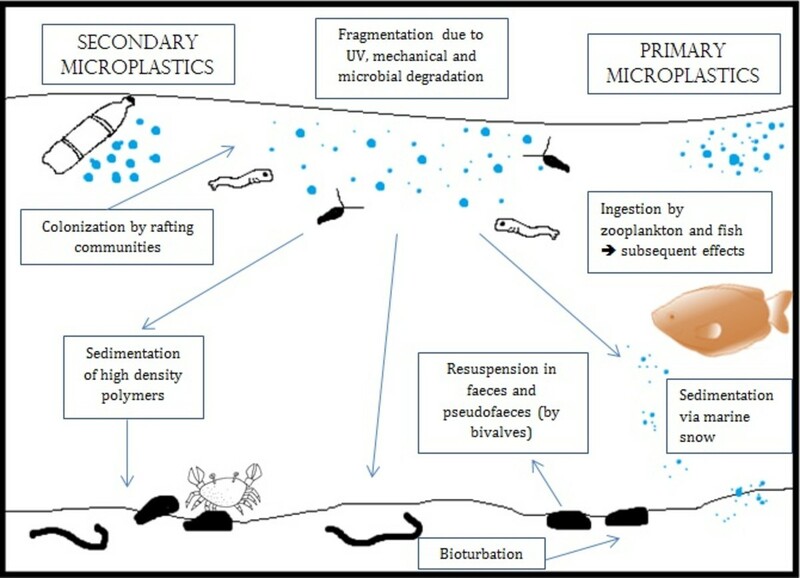 Some examples of primary microplastics include the following. The first source is often classified as a primary microplastic even though it arises due to degradation. The degradation arises due to human activity instead of occurring in nature. Polyester, acrylic, and nylon are examples of plastics used to make clothing. Research suggests that one load of laundry can release as many as 1,900 plastic microfibres. Cosmetics designed to exfoliate skin often contain microbeads made of plastic. These enter the environment after we wash, shower, or take a bath. Plastic microbeads are also present in some toothpastes and enter the environment after we have brushed our teeth. Microplastic pellets are used in industrial processes. They may escape into the environment accidentally or be deliberately dumped. Microplastic particles released into the environment often reach the ocean, since many wastewater treatment plants are unable to remove them. 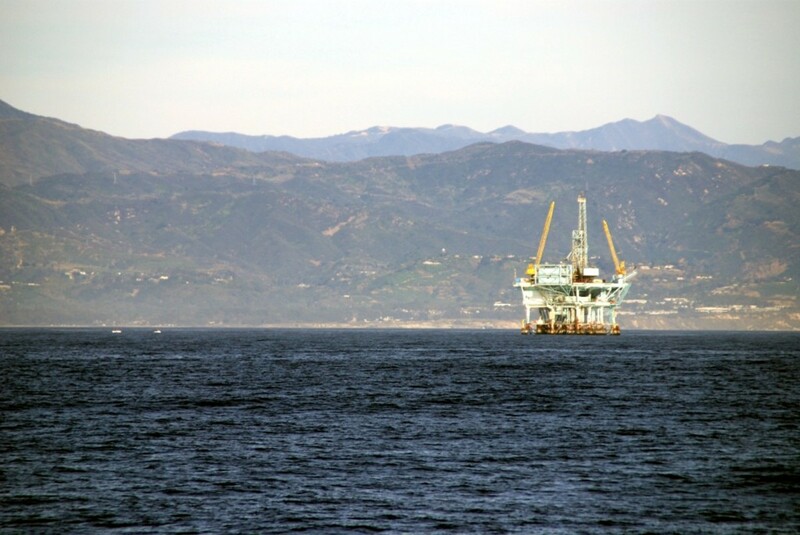 Up until relatively recently, there has been a widespread tendency to treat the ocean as a convenient place to dispose of all sorts of unwanted material, either deliberately or unwittingly. Plastic that produces secondary microplastics arises from many sources. Accidental release of plastic into the ocean is bad, but deliberate release is even more frustrating. Even today, when people are becoming more aware of pollution, some ships still throw their garbage overboard. Dumping of plastic garbage by communities, individuals, and industries, especially near or in the sea, is a big contributor to the plastic debris in the ocean. Natural disasters like floods and storms can also transfer plastic to the ocean. Another problem is the degradation of nylon fishing lines in seawater, which releases microplastic particles. Microplastic dust is released from plastic ropes and other plastic items on land as a result of wear and tear. The dust may eventually enter water. The degradation of contact lenses may be an additional source of microplastics. A research team at Arizona State University recently carried out a national survey. They found that fifteen to twenty percent of disposable contact lens wearers get rid of the lenses by flushing them down a toilet or a sink instead of putting them in the garbage. The lenses are often made of poly(methyl methacrylate), fluoropolymers, and silicones. The combination creates relatively soft lenses whose chemical bonds are weakened by the microbes in wastewater treatment plants. The researchers say that the lenses are broken into fragments that collect in the sludge of the plants and can eventually form microplastics. The sludge is often spread on land. From here, some escapes into rivers and the ocean as runoff when it rains. Sludge also escapes into waterways due to overflows at treatment plants. 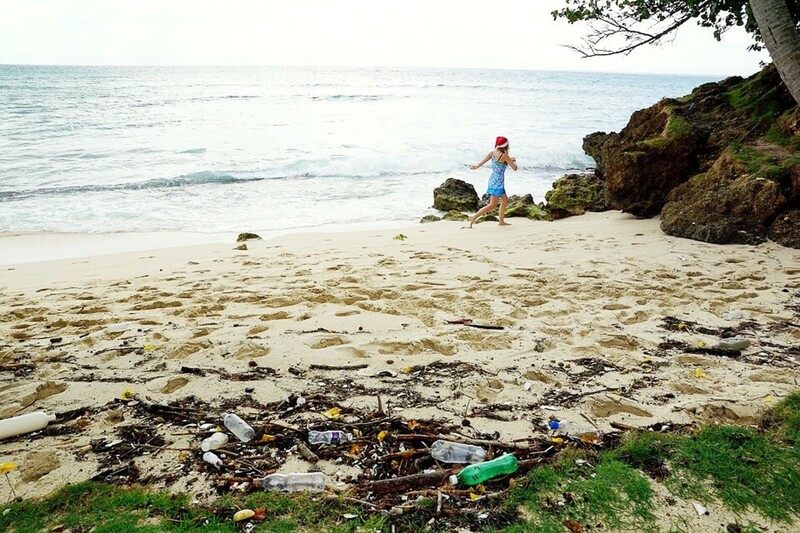 The harm caused by large pieces of plastic debris that enter the ocean is well known. Animals may become entangled in the plastic or may mistake it for food. The swallowed plastic may block the animals' intestines, starve them, or suffocate them. It may fill their stomachs and take the place of real food. The effects of microplastics on living things are uncertain, but researchers are concerned about their potential influence on the health of marine organisms and perhaps even on us. Scientists know that microplastics are accumulating in oceans around the world and in ocean sediments, that they take a long time to degrade completely, and that they are being ingested by marine animals at the bottom of the food chain. They have also discovered that microplastic is present in the bodies of at least some fish. In addition, scientists know that chemical pollutants stick to the pieces of microplastic and are ingested along with the plastic particles. These pollutants include dioxins, DDT, and PCB molecules (polychlorinated biphenyls). In lab experiments on isolated tissue, microplastic particles have entered cells and caused cell damage. This doesn't necessarily mean that they will do the same thing in an intact body, where normal body processes may neutralize the particles. Microplastic particles might be harmful to marine animals and to us if we eat contaminated sea food, but investigators need to demonstrate this in their research. This research is very important. If microplastic is found to be harmful, hopefully more stringent and better-monitored regulations with respect to plastic waste will be established. So much microplastic material is accumulating in the ocean and it's made of such tiny particles that we will probably never be able to remove it. The best that we can do is to prevent the formation of any new microplastic. Reducing the amount of megaplastic pollution should be a big help in this process. Three filter-feeding sharks exist today: the whale shark, basking shark, and megamouth shark. The fish swim through the ocean with their mouths wide open. Tiny organisms known collectively as plankton—and probably bits of microplastic as well—enter the mouth and are trapped on projections from the gills known as gill rakers. Filter-feeding whales feed in a similar way, but they trap the plankton on plates of baleen hanging from their upper jaw instead of on gill rakers. Since they are mammals like us, they have lungs instead of gills. A study performed by researchers in multiple countries and published in early 2018 made a depressing discovery. The researchers reported that large filter feeders in the ocean may be swallowing hundreds or even thousands of microplastic particles every day. Potential problems from the particle ingestion include nutritional deficits, injuries to the digestive system, and toxin absorption. Some of the animals are already endangered due to other reasons. It's important that we discover whether the microplastic is affecting them. 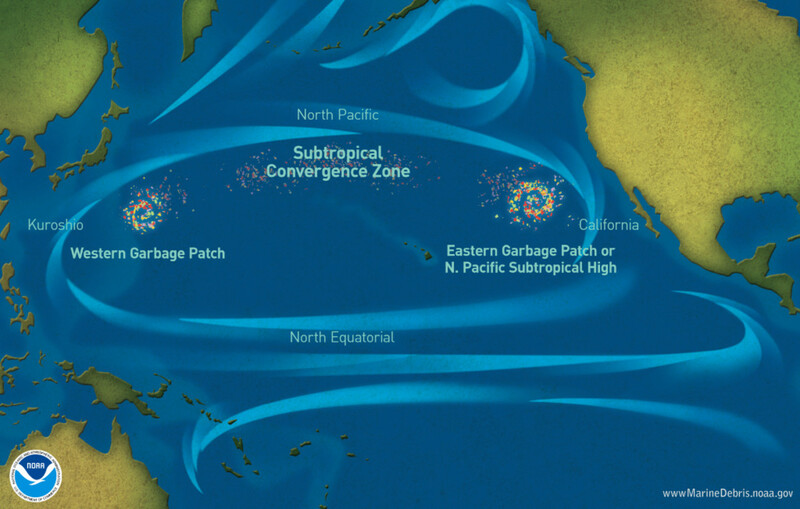 Any discussion of plastic and microplastic debris in the ocean really needs to mention the Great Pacific Garbage Patch. This patch is a huge, swirling mass of plastic and microplastic material trapped in a gyre in the North Pacific Ocean. It's sometimes referred to as the largest landfill in the world. It's actually made of two areas called the Western Garbage Patch and the Eastern Garbage Patch. The Eastern Garbage Patch is larger. Its name is sometimes used as a synonym for "Great Pacific Garbage Patch". The Eastern Garbage patch is very large, but its size is hard to measure and seems to vary. It's been described as being equal to the size of Texas, equal to twice the size of Texas, or even equal to the size of Europe. The large pieces of plastic debris in the region are very obvious, although they don't form a continuous cover over the water as some people imagine. This is why the garbage patch can't be seen in satellite photos. Most people are unaware that there is a large quantity of hidden microplastic material in the area. The Great Pacific Garbage Patch is shameful evidence of our love of plastic and our carelessness about its fate and its effect on other creatures when it's no longer useful. 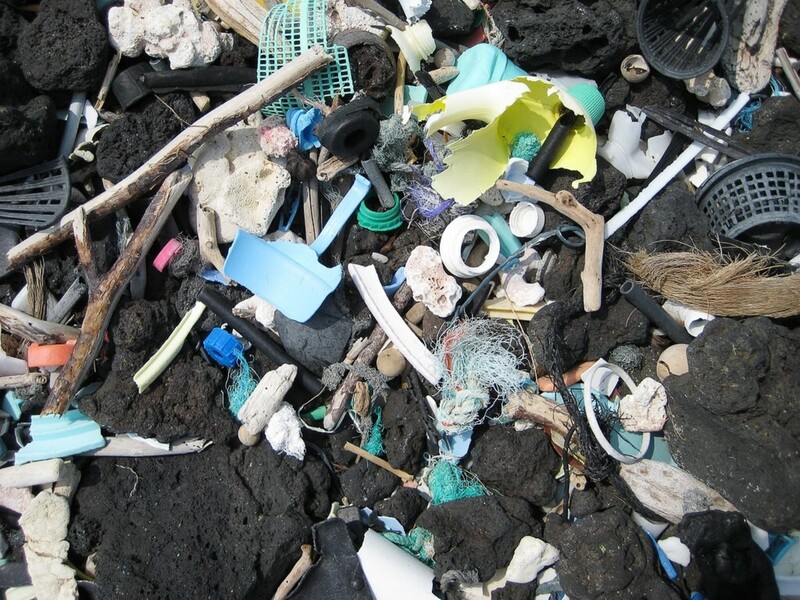 The garbage patches are not the only ocean sites containing concentrated microplastic. Plastic is becoming a problem in some parts of the Arctic. Large pieces of plastic debris are being found on shores in the Norwegian Arctic, most of it in the form of discarded fishing gear. Scientists in Svalbard say that in the late 1970s the bird known as the northern fulmar had very little plastic in its stomach. In 2013, a survey found that some northern fulmars contained as many as 200 pieces of plastic. Another sad observation in Svalbard is that some reindeer die every year after getting their antlers tangled in discarded fishing nets on beaches. Norwegian scientists have found concentrated collections of microplastic particles in Arctic sea ice. The particles are produced from larger pieces of debris. The scientists have discovered that one litre of melted sea ice in the area holds up to 234 microplastic particles, which is a much higher concentration than is found in the open ocean. Seawater freezes from the top to the bottom. Since microplastics are most concentrated in the surface water, they become trapped in the ice as it forms. The Norwegian fishing industry has become more careful about discarding plastic debris in recent years. People involved in the industry are also collecting debris that they find. These are excellent developments. Nevertheless, plastic is still being found on shores. Another problem is that the ice in the Arctic is currently shrinking. Scientists are concerned about what will happen when contaminated ice melts. Studying microplastic is a relatively new endeavour for researchers. There's much that scientists don't yet know about the material. Do microplastic particles hurt living things? Do the pollutants that they carry harm animals? Do the plastic particles and the pollutants become more concentrated as they move up the food chain? Do they affect us when we eat marine animals? These are important questions that still need to be answered. Since the answers aren't yet available, we need to address the microplastic problem now in order to stop or at least reduce the damage that may already be occurring. It would be very sad if evidence that microplastics are harmful accumulates and we discover that it's too late to help many forms of marine life and perhaps even some humans. 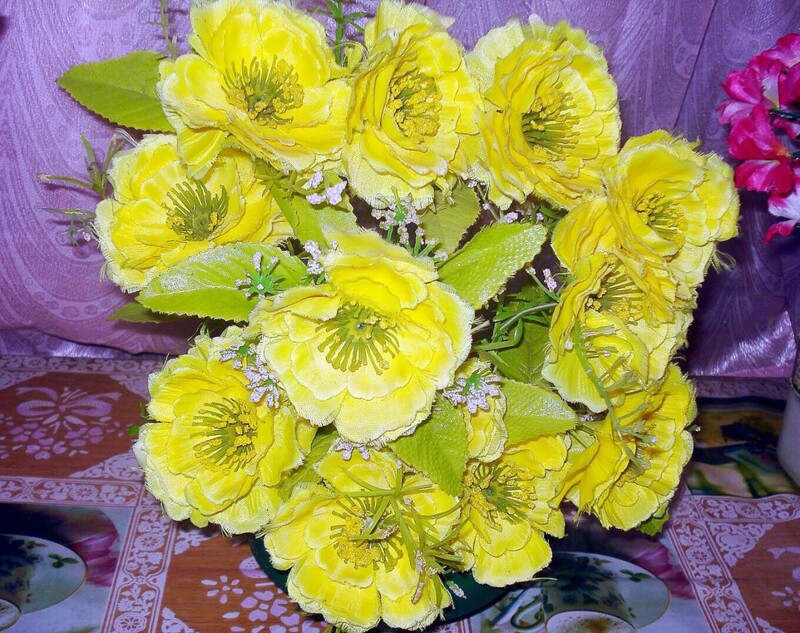 Thank you very much for the visit and the comment, Peg. Sadly, I have to agree with your conclusion. We are destroying our planet. It's a frightening time, for many reasons. Your information here is valuable and important. The environmental implications for the amount of plastic we are using and discarding are long term and frightening. It makes me sad to see examples of fish, turtles and wildlife suffering the consequences. I remember a time when plastic was less common. Even sodas came in recyclable glass bottles and so did milk and many other products. We are destroying our own home planet. Thank you for the visit and for the comment, b. Malin. The microplastic situation is scary. I hope the problem is solved soon! What an Interesting and Informative Hub on Plastics Alicia. A little Scary to say the least, and yet most of us use Plastics in our everyday Lives. Great Videos as well. Thanks for the warning and dangers that are associated with these products. Hi, Karanda. Yes, avoiding plastic and choosing safe personal care products can often be challenging! Thanks for the comment. Great Hub AliciaC. You just know when you are using these products there is something not quite right. Let's hope they get it right one day! Yes, DzyMsLizzy, that’s what worries me. Of course we should stop releasing plastic into the environment for the sake of ocean wildlife, but there should be another compelling reason for us to solve the plastic problem as soon as possible - the unknown consequences of microplastic and toxin buildup. Hi, Kris. Thank you for the comment. Yes, the general public sees the problems creating by visible plastic items being discarded, but are unaware of the microplastic particles that are being created and the toxins that are escaping from the plastic. The future is uncertain. As you say, perhaps bacteria and other components of the environment will be able to neutralize the toxins - or perhaps not! You are very welcome! And, yes, isn't that always the way of The Powers That Be? "We don't know, so instead of calling a halt until we find out, we'll just keep doing what we're doing until it's too late, and the problem will be harder or impossible to solve. Grrr.. Thank you very much for the votes and the shares, DzyMsLizzy! I appreciate them. Yes, the release of microplastic particles from laundry and nanoplastic particles from cosmetics are certainly very scary! We may be affecting the future in a way that will be very difficult to control, although it's not yet known how seriously the environment is being affected by these particles. The problem is that while we're waiting for the results of scientific research we are continuing to pollute the environment with microplastics. Good hub! Sadly there are toxins in plastics that can leach out over time. 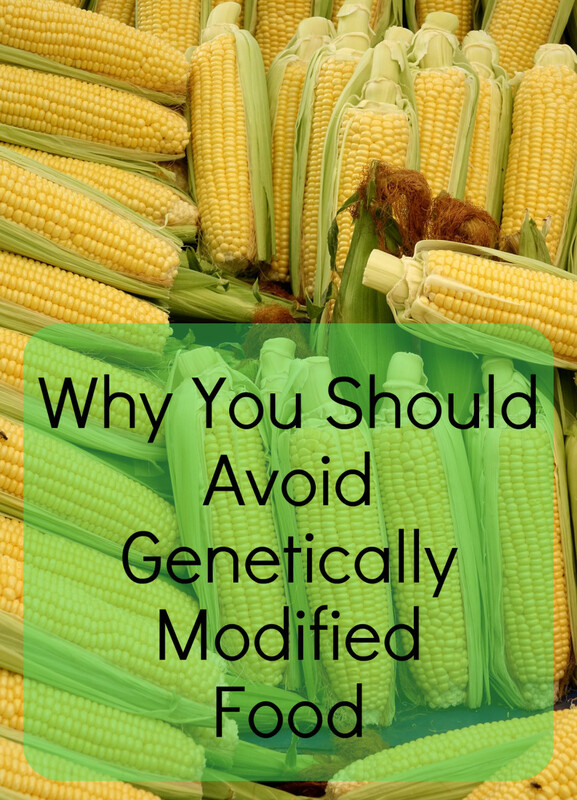 How the environment handles these toxins will probably only become evident over time. Some bacteria can break down certain toxins but will it be enough? Most likely not. Very interesting hub. Bookmarked to read again later and watch the videos, which look very compelling. I had heard about the GPGP, but releasing nano-plastics by laundering our clothing? Wow! That is scary! Voted up, useful, interesting and shared both here and on my Face Book page. Thank you very much for the comment, vote and share, Nell. Yes, I find the presence of microplastic in the ocean very worrying too. Large pieces of plastic are bad enough, but at least there is some hope of removing them from the ocean and the shores because they can be picked up. I don't know how we can remove the widespread, tiny microplastic particles that researchers say are accumulating in ocean water and sediments. I very much hope that they discover that these particles aren't a significant threat to living things! !